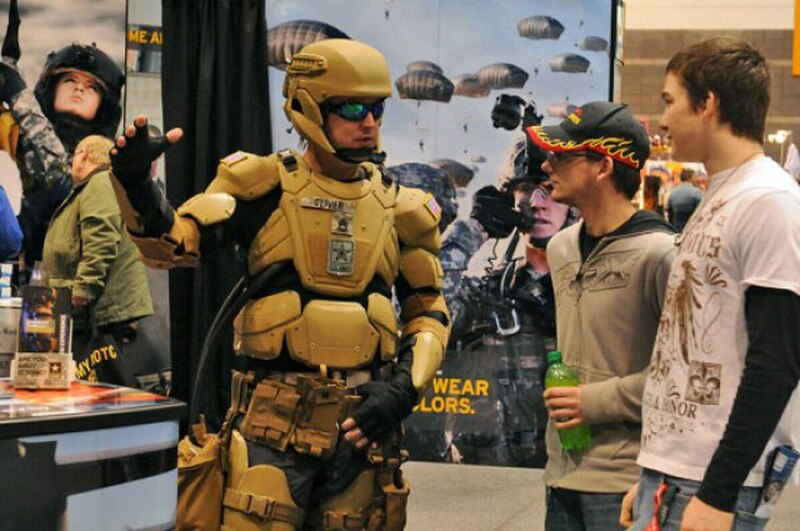 U.S. Special Operations Command is once again seeking proposals for a Tactical Assault Light Operator Suit, or TALOS, according to a broad agency announcement posted in December. This isn’t the first time the request has been pushed out, though. Back in September 2013, SOCOM made another broad agency announcement seeking TALOS suit prototypes, according to an Army news release. “We sometimes refer to it as the Iron Man suit, frankly to attract the attention, imagination and excitement of industry and academia,” Michel Fieldson, then the TALOS lead, said in the release. For this most recent announcement, the solicitation includes interest areas for contractors to focus on — such as technologies that minimize traumatic brain injury, reduce electromagnetic and acoustic signature, and protect against advanced rifle rounds. “The vision provides a coordinating focus for many of [SOCOM’s] Science and Technology (S&T) efforts,” the announcement reads. The tactical exoskeleton system outlined in the solicitation should be able to augment human strength, while maintaining operator mobility under heavy loads in an austere environment. Other areas of interest include a user-interface that can provide microwave doppler imaging, as well as the ability to capture sounds 360 degrees around the operator’s viewpoint and display the sound’s origin in azimuth and elevation. Although it’s up to a would-be contractor to determine costs and timeline of development, the announcement recommends a limit of $5 million for development and 24 months to complete all efforts for each submission.